Across tech sites and forums there are rumbling complaints about Apple choosing to provide just one port on the 12-inch MacBook and the compromises the design presents. The flawed approach is much bigger, and the laptop line has been this way before—where thinning down means giving up something many users want, which is why I am so surprised that little of the discussion focuses on the original MacBook Air. Stated simply before the long explanation: If you don't mind paying $1,299 or $1,599 for the performance equivalent of a souped-up tablet, running OS X but lacking touchscreen, Apple's tiny laptop is a good choice. Otherwise, stop whining and buy something else. There is no shortage of choices in the slim-and-portable category. The original MacBook Air sent the tech press and Apple fanboys into a tizzy, when unveiled by then CEO Steve Jobs in January 2008. Does anyone remember the promo, where the laptop is pulled from a manila mailer? The wow factor was huge. But size wasn't the only thing small about the original Air, which was a slow bugger because of the hard drive and packed a single USB port. To get the Air so thin, Apple also chucked away ports and the DVD drive, both of which many people wanted. The company sold an external optical SuperDrive designed for the laptop, which, if I rightly recall, could use no other. Hey, is it me, or does that design approach sound familiar? What buyers got in size, they gave up in performance. The 80GB 1.8-inch hard drive derived heritage from portable media players of the day, like the new MacBook's 1.1GHz or 1.2GHz Core M dual-core processors are tablet-class, despite Intel marketing touting no-compromise PC performance for thin-and-light devices. Laptop Magazine offers an excellent primer on the M series, with respect to the 12-inch MacBook. The low-voltage, dual-core processor delivers performance more like a tablet than a laptop packing "i" series Intel processors. I owned, loved, and loathed the original MacBook Air. There was nothing so thin and light for the time, but sluggish performance frustrated me much more than giving up ports or the optical drive. That 4,200-rpm disk turned beauty into a beast. The original Air was a cranky computer that didn't measure up to its sweet exterior. Meanwhile, the tiny hard disk was troubled. Mine failed after four months, and Apple Store surprisingly swapped out for a new computer. Three years later, the drive on the replacement Air failed, too, and I replaced it with then-pricey 64GB SSD. My 93 year-old father-in-law uses the laptop, which is all but useless today, although serviceable when his iPad Air isn't enough (like for websites requiring Flash). Big problem: OS X is several versions old, because newer releases aren't supported on the original (but they are on the late-2008 model). I see in the new MacBook, Apple repeating past design mishaps. When reintroducing the Air in 2010, ports returned, and by switching to sold-state storage the company delivered diminutive design without the same compromises, while achieving benefits planned for the original. Don't be surprised if in the near future, Apple jacks up screen resolution on 11.6-inch and 13.3-inch Airs, which pack performance and ports many customers will want. In looking at the 12-inch model, I don't understand why Apple designed the notebook. Wouldn't customers and investors be better served by taking Air to Retina Display, which, honestly, is the compelling reason for buying the newer laptop? Is there that much difference, with respect to screen sizes, that a 12-incher is needed between the two existing thin-and-lights? I just don't see it, particularly when considering what buyers will give up—and I don't mean ports. Apple boasts about the keyboard and the newfangled touchpad. But, hey, what's Apple's objection to a touchscreen, which increasingly is available on Windows laptops or, gasp, even low-cost Chromebooks? By all measures that matter, analyst forecasts and a couple quarters of iPad shipments, consumer interest in tablets are declining. But that doesn't mean that buyers don't want touchscreen devices. If you really want tablet performance, an iPad costs less, saves about a half-pound in weight, is similarly port-limited, packs higher-resolution display, and offers benefits of a touchscreen—or LTE. Sure, the new MacBook runs OS X, offers loads more storage and RAM, and provides considerably larger display. Those are benefits that performance and port expandability offset. But do you really need those ports? I think not and agree with Apple marketing. We live in an increasingly connected, wireless world. Most people will find that one port is enough. Hey, they live with similar limits on tablets, where lots of content is created or edited in apps. The larger questions are something else that only early professional reviews and real world, customer usage will answer: Will the new MacBook benefits exceed the anticipated-performance sacrifices? Is there really a marketplace for the 12-inch thin-and-light laptop between 11.6 and 13.3 MacBook Airs, if not for high screen resolutions? 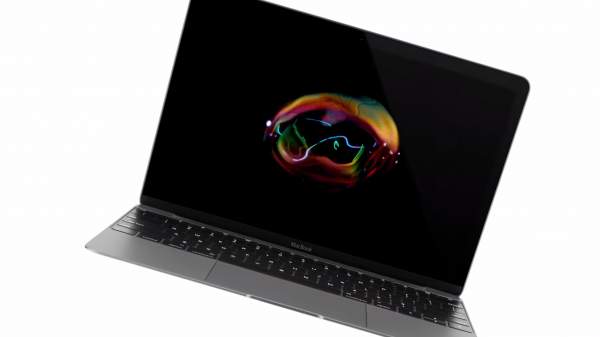 For more perspective: See the battle between BetaNews colleagues Mihaita Bamburic and Brian Fagioli; "Apple's new MacBook is much better than Microsoft's Surface Pro 3—here are 9 reasons why" and "Sorry Apple, Surface Pro 3 is better than your new MacBook—here are 6 reasons why".